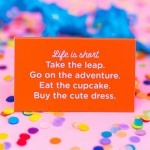 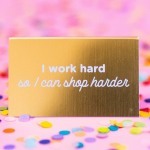 4.75" x 2.75" x 2.25"
Add a pop of color and inspiration to your desk with this hot pink acrylic desk sign about working. 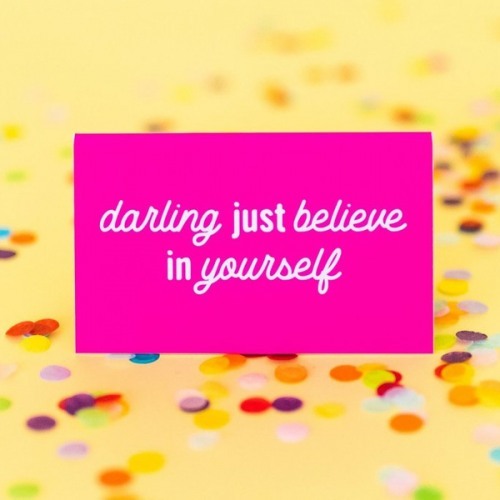 Not your ordinary title desk sign this one says "darling just believe in yourself" engraved in white. 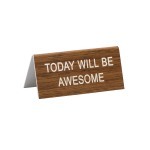 The desk sign is great to keep in the office, dorm or home and will remind you that you are capable of anything you put your mind to do.